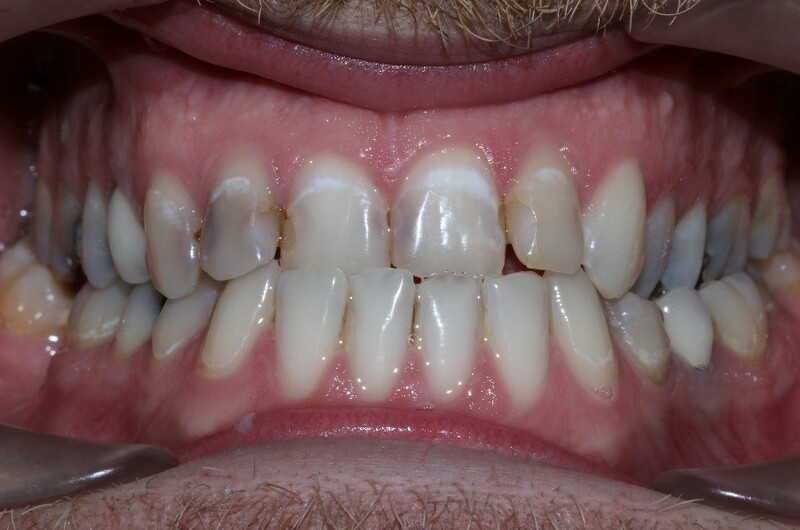 Mike had a problem with discolouration and a bite which stopped him showing his front teeth properly. 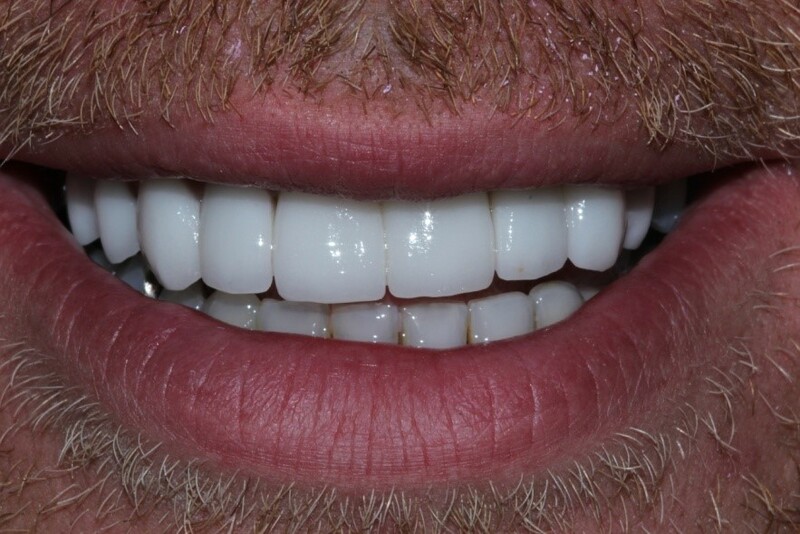 We used invisalign to straighten his smile and porcelain crowns to improve the discolouration. The result is a stunning transformation.